CEO Javin Pierce is the Founder of the Pierce Group of companies and responsible for global operations. Pierce has worked in the medical device sector for nearly over three decades and has 11 issued patents and 7 patents pending with the USPTO. Pierce previous worked as the co-founder, Vice President, and Chief Financial Officer of Arthrex, Inc., one of the leading sports medicine companies and the leader in the suture anchor and knee ligament repair market segments. At Arthrex Pierce was known for his invention of the Percutaneous Knot Pusher, a ground-breaking device that enabled arthroscopic repairs of the shoulder. Pierce’s Knot Pusher led to the explosive growth of Arhrax, now one of the world’s largest privately medical device companies. Pierce worked for the University of Vermont, Department of Orthopedics and Rehabilitation for 10 years in knee ligament, and sports biomechanics. In 2001, Pierce was recognized by the State of Vermont as a Small Business Innovator of The Year for his revolutionary knee-sparing ski boot, the Lange V9. 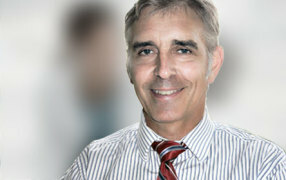 David Lake is the PSC Finance Director responsible for global capital raising and international business development. As the Founder and CEO of Greater China Capital Inc., Lake has specialized in providing financial consulting services for over three decades from a base in Hong Kong and is active in developing businesses in China, Europe, the Middle East, Turkey and the Asia Pacific. Lake specializes in strategies planning, investor relations and the building of business structures to accommodate global growth. Formerly, Lake has completed projects and assignments for leading enterprises and media organizations, including M&A, business rollouts and license negotiations in select global markets. In the Global Listings sphere, Lake has spearheaded projects in the European and US markets for small cap companies, and has worked as a director of listed companies in the Canadian capital market, with an expertise on corporate governance. Lake has completed a important assignments for leading groups and entrepreneurs. Lake sought China M&A opportunities for HK-listed e-Kong Group, led by renowned telecom pioneer Rick Siemens, consulted with the Managing Director of the “South China Morning Post”, a leading media company in Hong Kong, on investor relations and special projects, and consulted for over a decade on investor relations, asset divestitures, fund raising and capital markets branding for New World Group, a Hong Kong conglomerate and the largest PRC foreign investor. 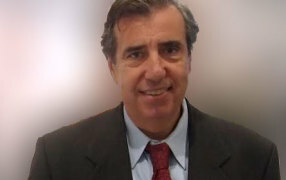 Brillo is the Managing Director of PSC Italia responsible for business development and operations. Brillo has worked as a CPA and accountant since he founded his own office in 1990. A graduate of Trento University with an Economics Degree, Brillo passed the CPA exam in 1990 and specializes in serving over 50 small and medium sized enterprises as well as 250 private clients. Brillo has great experience in working with entrepreneurs and handling duties on the Board level. 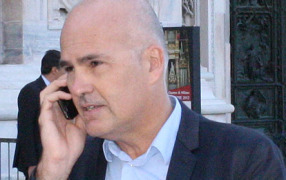 Brillo has assumed a number of assignments in this regard, including: Chairman of Supervisory Board Coldereiser Srl. (1992-present); Supervisory Board Member Gherdeina Ronda AG (2007-present), Supervisory Board Member Cadsky AG (2008-present) and Supervisory Board Member Eurostar Media Srl (2010-present). Traih is the Managing Director of PSC Arabia and is responsible for business development in the GulF Region. Traih has developed a solid network of relationships across the Gulf Region from his base in Amman, Jordan. Armed with an MBA and an electrical degree, Traih has worked in a diverse range of markets from Saudi Arabia to Dubai, Egypt, Iraq and Kuwait. Traih is deploying his long background in IT sales to support PSC to launch the medical devises and services business in the region. Formerly, Sari managed media campaigns and strategy for the largest telecommunication brands in Jordan. 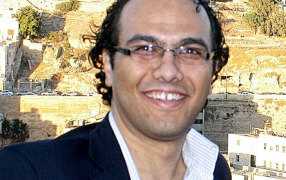 Sari brings his innovative and creative abilities to developing regenerative medicine in Arabia. 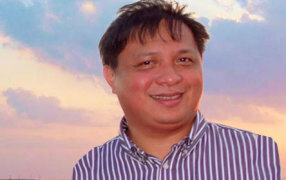 Ray Apita is the PSC Philippines Managing Director responsible for overnment realtions and business development. Apita brings a wealth of experience to the PSC from his base in Manila. With a strong legal, finance and business background, Apita has developed a network of solid connections in the Philippine business world and government ranks over the years. Apita specializes in the handling of inter-jurisdictional transactions focused on M&A. Apita’s intensive experience in contract structuring is a key strength in providing top level consulting advice. Furthermore, Apita’s sound financial and legal expertise is back by his work in tax and tax compliance.